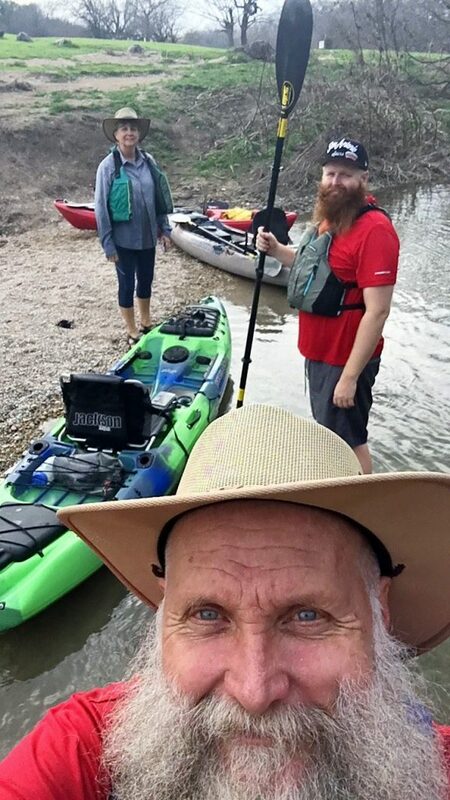 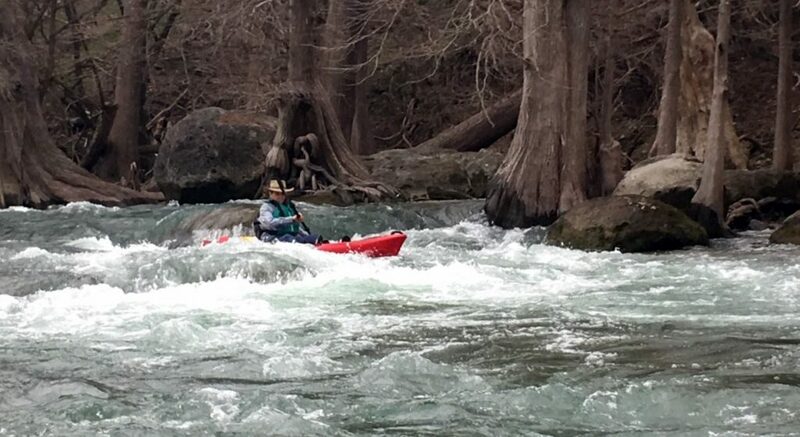 The TGs took advantage of the 75 degree temperature to run the Upper Guadalupe River from Bergheim Campground to Guadalupe State Park last Tuesday, 2-5-19. 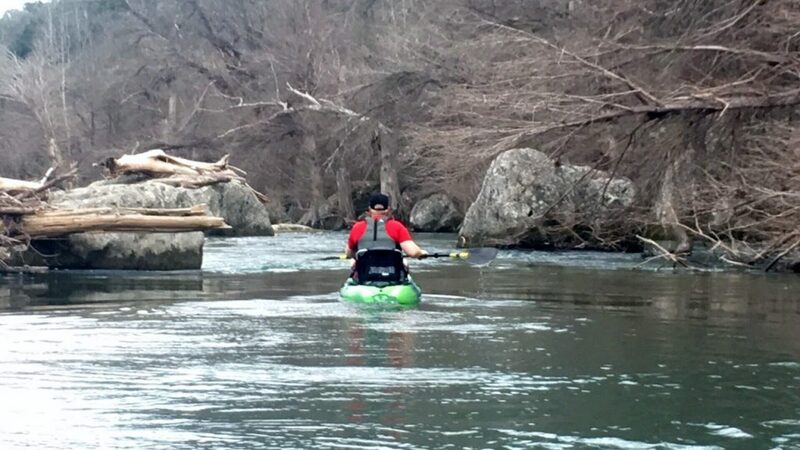 The river had a nice flow of 350 CFS, making the Class I and Class II run fun and enjoyable. 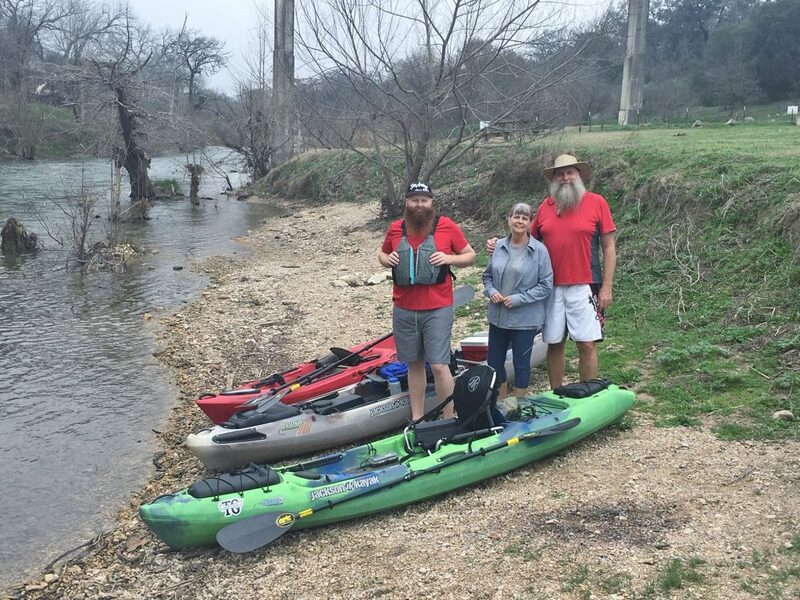 Birds included a few Red Shouldered Hawks, Red Tailed Hawks, an Osprey, Great Blue Herons, Great Egret, and scores of finches, warblers, etc. 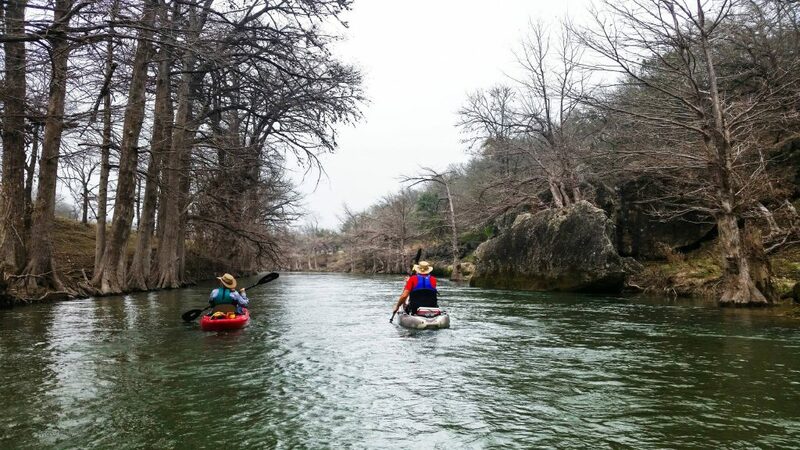 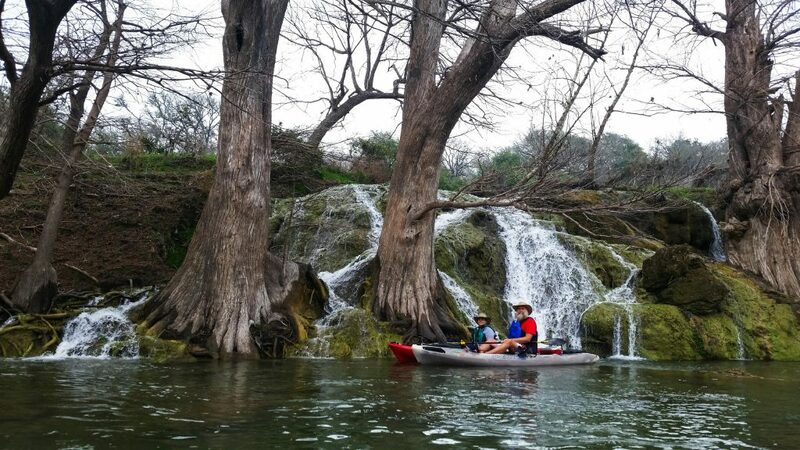 We encourage y’all to take the time to paddle these Hill Country rivers while they’re running. 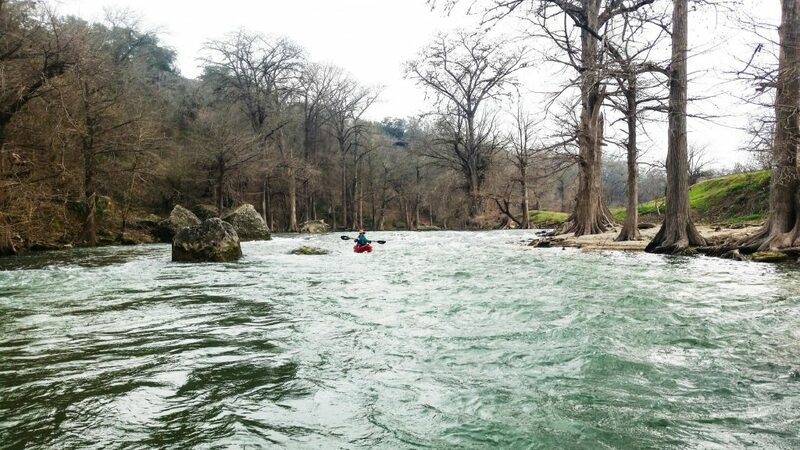 The skill level for this section, at this water level, would be intermediate or better.